So after months and months of growing my hair, I've been getting a little bored, as you do when you have a hairstyle for a long while. I thought about dying it, because that just makes sense after growing it for so long. And then I started seeing images of everyone with cute, little bobs. Oh god. Now I want a bob. Like... Lucy Hale style bob. But would I even look right with a bob? I've never had my hair that short. I found a trick that a lot of people seem to swear by and it was created by John Freida himself! It's called the 2.25 rule. 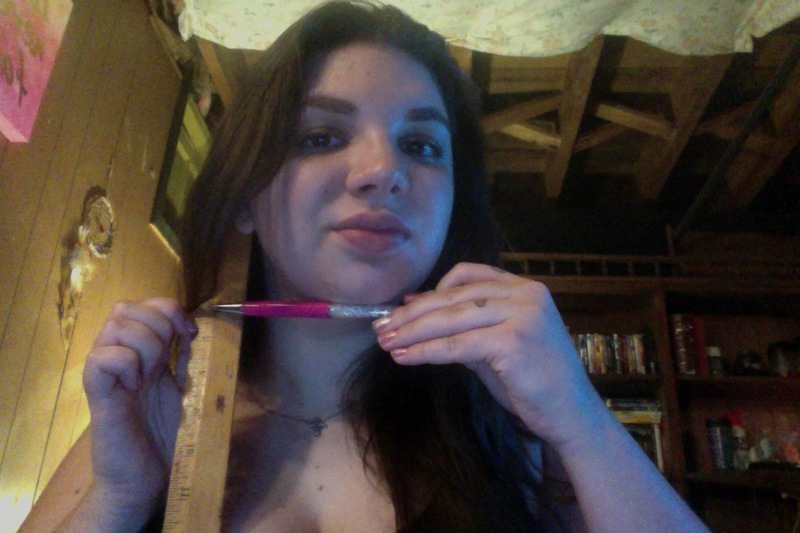 You're supposed to take a ruler and a pencil and basically measure to see if your face was made for shorter hair. Holding the ruler vertically under your ear and the pencil horizontally under your chin. If the pencil hits a point that is less than 2.25, your face was made for short hair! If it's past that, short hair might not suit you. But, personally, I wouldn't let that stop you. If you want short hair, go for it! According to this, my face was made for short hair. It's definitely something to think about, but I've worked hard for my hair to get to this length, so I might just hang on to it until I reach my goal length. What about you, will you use this method to determine if you should cut your hair?